A Registered Dental Hygienist in Alternative Practice is a mid-level health care practitioner, like a Nurse Practitioner, that can practice independently to care for patients. Due to the growing population of patients with inaccessibility to oral hygiene care, the RDHAP profession was created in 1998 by the California Legislature to help reach this population and to improve oral health care in alternative settings. To become an RDHAP, applicants must hold a current and active California license as a Registered Dental Hygienist, have been in clinical practice as a dental hygienist for at least 2,000 hours within the preceding 36 months, must possess a Bachelor of Science degree, complete 150 hours of an approved RDHAP program, and pass a written examination in California Law and Ethics. Independently, an RDHAP is able to provide dental hygiene care to patients in a variety of settings such as their homes, residential facilities, hospitals, clinics, and schools. Mobile RDHAPs reach populations such as the aging, disabled, homebound, and children, to name a few, who cannot access dental care in the conventional way. RDHAPs provide preventive and therapeutic services to the homebound to improve oral health care of the general population. Julie completed her undergraduate Bachelor of Science degree from University of California, Davis in 2007. After years of working as an office manager, she continued her education and received her Associate of Science degree in Dental Hygiene from Carrington College, Sacramento in 2011. She decided to further her education and expertise in the dental hygiene field and in 2015 she completed her RDHAP education and training at University of the Pacific, Arthur A. Dugoni School of Dentistry – Pacific Center for Special Care and created Advanced Dental Hygiene Care. Julie resides in Fremont with her husband, son, and daughter. In her free time she enjoys outdoor adventures with her growing family and exploring the world. She often finds herself reading children’s books, singing children’s songs and playing children’s puzzles with her children. Other past time events are going to the movies, bowling, playing badminton, trying new restaurants, and traveling. Advanced Dental Hygiene Care was created to increase dental hygiene accessibility to families around the East Bay. We are committed to excellence in care and comfort for the patient. Regardless of the medical condition that inhibits patients from reaching the dental office, we will ensure that patients are taken care of and given the best dental hygiene treatment possible. With our state of the art mobile dental equipment, we are able to provide thorough dental hygiene treatment with an electronic scaler, hand instruments, suction, and other preventive services as deemed necessary for each patient, just like in the dental office. ADHC meets and exceeds infection control guidelines set forth by OSHA. We use Universal and Standard Precautions and our staff has undergone extensive training to keep our patients and staff safe with OSHA recommended sterilization techniques. ADHC dental hygienists are licensed through the Dental Hygiene Committee of California (www.dhcc.ca.gov), CPR certified, and have undergone a background check. Should you have any questions or concerns, feel free to discuss these topics with the provider. 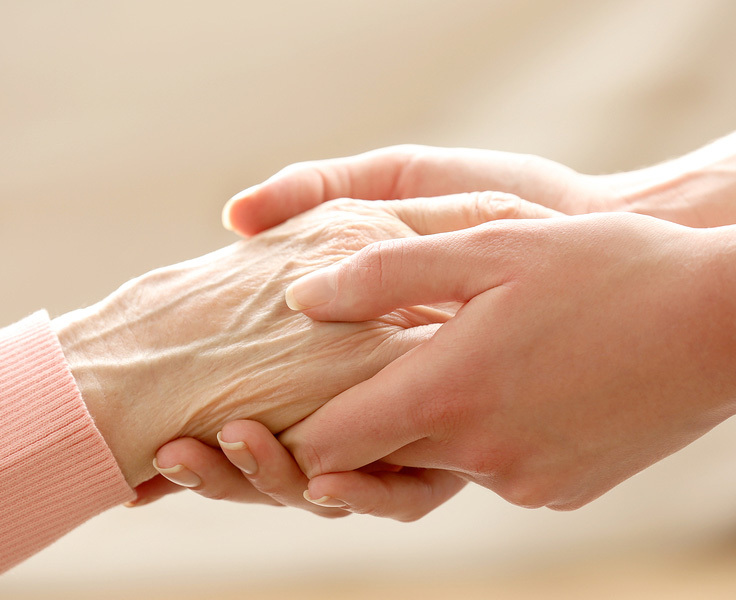 We work closely with the patient’s caregiver, dentist, physician, and facility to ensure overall health. Although dental hygiene services are rendered, it is still important to see the dentist regularly. If one does not have a dentist, we will provide referrals to dentists we work with throughout the area. Referrals to dentists are provided to ensure comprehensive dental care is achieved.